Ever wanted to try your hand at writing some Sherlock Holmes fanfic? Well, we have some good news for you. In 2014, Sherlock Holmes officially entered the public domain, meaning that anyone who feels like taking the fictional sleuth for a spin is legally free to do so. If you’d rather play armchair detective and solve someone else’s literary puzzles, these Sherlock Holmes retellings are some of our favorite modern-day takes on the brilliant, eccentric sleuth. 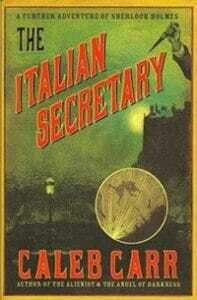 Caleb Carr is best known as the author of the internationally bestselling historical thriller The Alienist. Now, he’s rolling up his sleeves to take on the most famous detective of all time. Mycroft Holmes’ encrypted note to his brother Sherlock contains some alarming news: a top-secret matter threatens the safety of Queen Victoria herself. Sherlock and Watson are called to Holyroodhouse in Edinburgh to investigate two shockingly gory murders that happened while the queen was under the same roof. The young men were crushed by an unnaturally powerful force — and their deaths seem connected to the long-ago murder of David Rizzio, a close friend of Mary, Queen of Scots. Can Sherlock and Watson find the culprit before a terrible fate befalls the queen? Yes, that Kareem Abdul-Jabbar. You may not know — I didn’t! — that the basketball legend has had a successful second career as an author, or that he’s an avid fan of Sherlock Holmes. 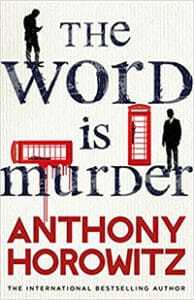 This novel fleshes out the origin story of Mycroft Holmes, Sherlock’s equally brilliant older brother. As the book begins, young Mycroft is a recent Cambridge grad busy starting his government career with the Secretary of State for War. But his personal life is deeply connected to Trinidad, where both his best friend, Cyrus Douglas, and his fiancee Georgiana Sutton are from. Suddenly, Cyrus starts receiving unsettling news from home: strange disappearances, mysterious footprints in the sand, and children found dead, their bodies drained of blood. 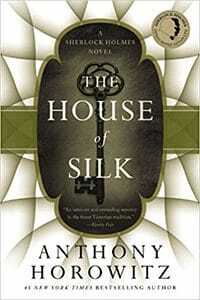 Georgiana takes off for Trinidad, and Mycroft and Douglas follow — only to find themselves trapped in a web of sinister secrets. 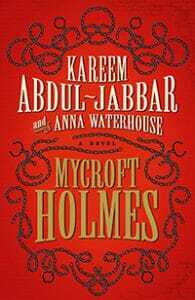 It’s an inventive take on how Mycroft became the influential and scary-smart power behind the throne. Well, that’s about enough from the men, don’t you think? How about a clever, feminist twist on the crime-fighting duo instead? 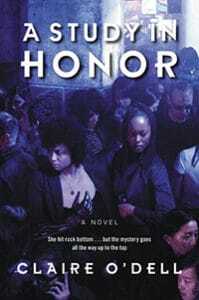 In a near-future Washington, D.C., Dr. Janet Watson and secret agent Sara Holmes team up to catch a murderer. Watson’s military career came to a sudden end when she was shot by a sniper while treating soldiers on a battlefield in the New Civil War. Discharged from the military and struggling to adapt to her prosthetic arm, she’s at loose ends when she happens to meet Sara Holmes, a fellow queer black woman — and a covert operative — who offers her a place to crash. 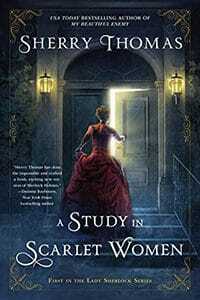 At first, Watson finds her new roommate difficult, to say the least… until she discovers that New Civil War soldiers are mysteriously dying off, one after another. As they dig for information, the two women begin to uncover a dangerous conspiracy that involves Big Pharma and even the upcoming elections. Conan Doyle probably never foresaw this take on his iconic characters — but maybe that’s a good thing.